It’s back-to-school season yet again. And all teachers are planning and preparing to make this a better school year than last year. You want more balance, peace, and happiness. 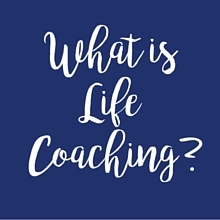 But you know that the busyness of the school year will start with a bang – like a gun at the starting line – and you fear that once the school year starts, it will be a full sprint until Christmas break and you won’t be able to have the balance you crave. (Am I right?!) So here are some tips – 4 steps to be exact – to making this year a better one than last year. And all us perfectionists cringed!! Do you frequently not get all of the things done on your to do list? Do you often think, “I don’t have enough time to get all that I want to do done”? If you answered yes to any of these than your expectations for yourself are above reality. You, my friend, are suffering from expectations that are way to high to create any sense of peace, balance, or happiness. So the trick is to lower those expectations to “good enough”. This is a lot easier said than done, but you need to get really clear on what ‘good enough’ looks like so that you can actually achieve it!! Otherwise you are chasing a vision that is actually impossible, constantly feeling like a failure! Two years ago, during back-to-school season, I wrote about creating a good-enough schedule so feel free to read more on this topic over on that post. One key to having peace amidst endless demands is to give yourself permission to be good enough – to decide that what you are doing is enough. Think about all the goals you have for yourself this school year. Now – write them down. Go on. Go ahead. Take out a piece of scratch paper or make a new note on your phone and write down ALL the goals you have for this year. Now. Look at the list. And get real with yourself for a minute. Which of your goals needs to take a backseat this year? Which do you need to give yourself permission not to accomplish? Or which ones need to simply be put off until 2nd semester? Cross all those goals out (and if you want to, rewrite them on a different goal sheet for the future so you don’t forget them). Now that you have a whittled down list, think about what you need to do to accomplish each goal. You may need to write some subgoals for some of them. Keep this list and work toward those goals each month. I like to use Powersheets by Lara Casey to set monthly goals. But even if you just keep this piece of paper in the back of your lesson plan book, refer back to it on the first of each month and keep making progress toward those goals! So – with that in mind – now pick one or two of these goals/subgoals to accomplish the first month of school. You may want to start with fewer since back-to-school time is so hectic. Keep REALITY in mind and start really small so you can have an early victory in your school year!! If you are like me, the to do list comes first, then my colleagues, friends, family, house chores, everything else and lastly comes ME! We put ourselves and our needs on the back burner thinking that we are “selfish” for taking care of ourselves. In reality, taking good care of ourselves (mind, body, and spirit) actually pays dividends to our people – our family, our students, our coworkers and friends. They get more out of us because we are more balanced, centered, grounded, and – well – happy! So – what do you need to plan in to your school year for your own self-care? A monthly massage? Nightly bath? 2-3 nights a week that you force yourself to leave your school work at school and you go to the gym, engage in your hobby, or spend time with a friend? Work meditation or prayer into your daily routine? 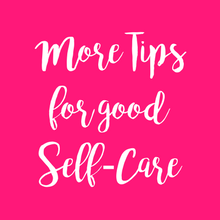 Self-care not only makes you feel more balanced and peaceful, but it sends a powerful message to yourself that you matter and your needs matter. When the hecticness of the school year is in full force, we are quick to put our needs to the side. And that is a bad recipe to make us feel resentful, short-tempered, and burned out. Step 4: Bring Back the Joy! 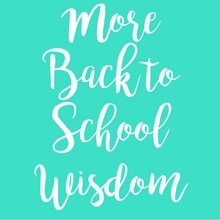 Many of us get excited about back-to-school because our energy and passion have been restored over the summer. But how do you hang on to that feeling all school year? The answer: Focus on what brings you joy in your teaching practice. Think about what made you excited to get into the profession and do more of that! Now – some of you are already making excuses why you can’t do that… “my curriculum doesn’t allow for activities like that” “I don’t get to slow down and enjoy the learning process” “I don’t have one-on-one time with students to get to know them”. That’s all fine. And you are probably right about each one of those excuses. But the hard truth is that those excuses are robbing you of the joy of why you got into this profession. So buck those excuses and make it happen! Slowing down a little or integrating a particular activity you love to do with students every once in a while likely isn’t going to get you fired. Close that classroom door and do it! Because filling up your “joy cup” is an important step to staying wholehearted as a teacher. Fanning our own Flame: Many of us got into teaching because we love to encourage students to love learning. We can’t fan a flame for learning if our own flame is out. So take the time to learn a new skill or hobby or read a good book. Share your adventure in learning with your students. 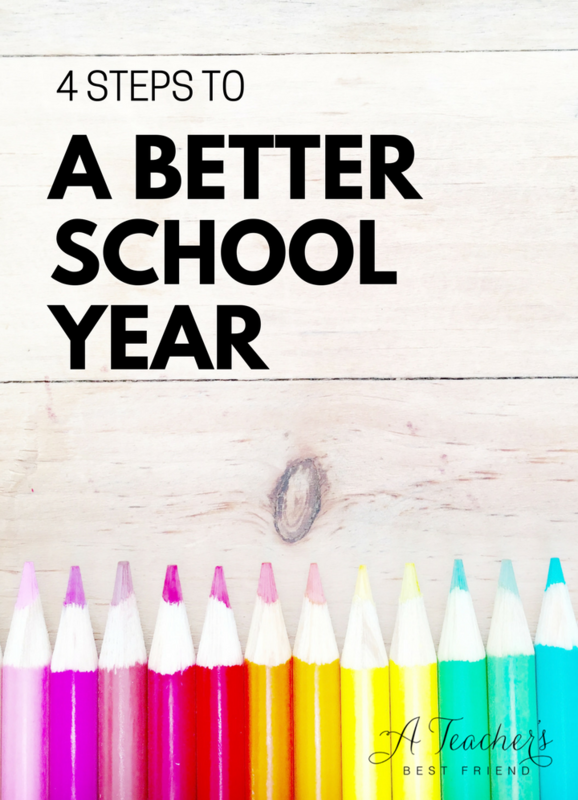 So there are your 4 steps to a better school year! I hope it’s your best one yet! Comment below with your thoughts and other suggestions!